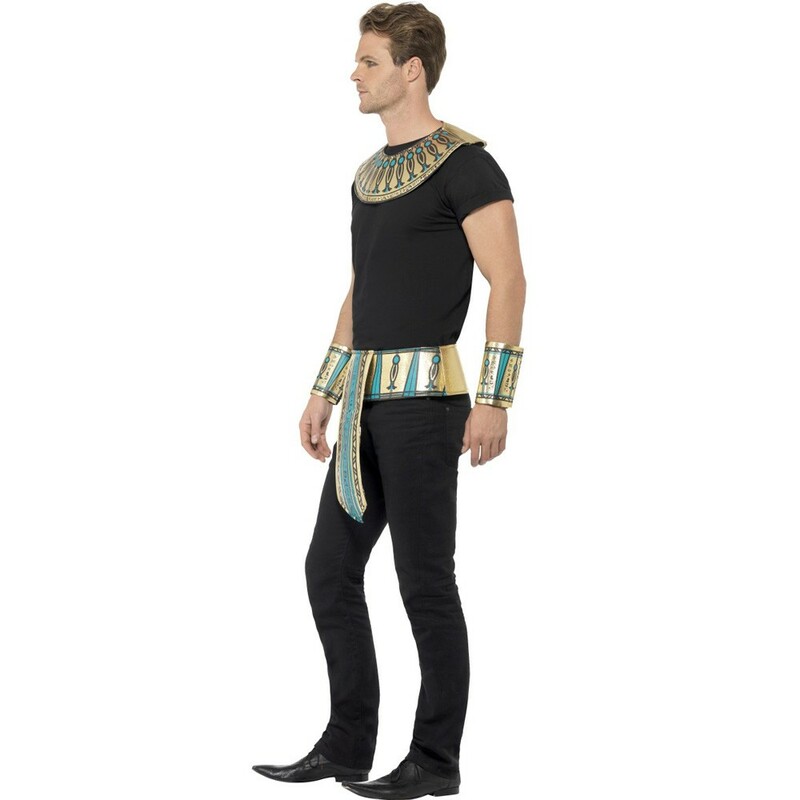 An Egyptian Instant Kit including a Collar, Cuffs, and a Belt – Ideal for any Ancient World theme, Egyptian theme, or any fancy dress occasion! Make an instant transformation with this fantastic Egyptian Instant Kit. 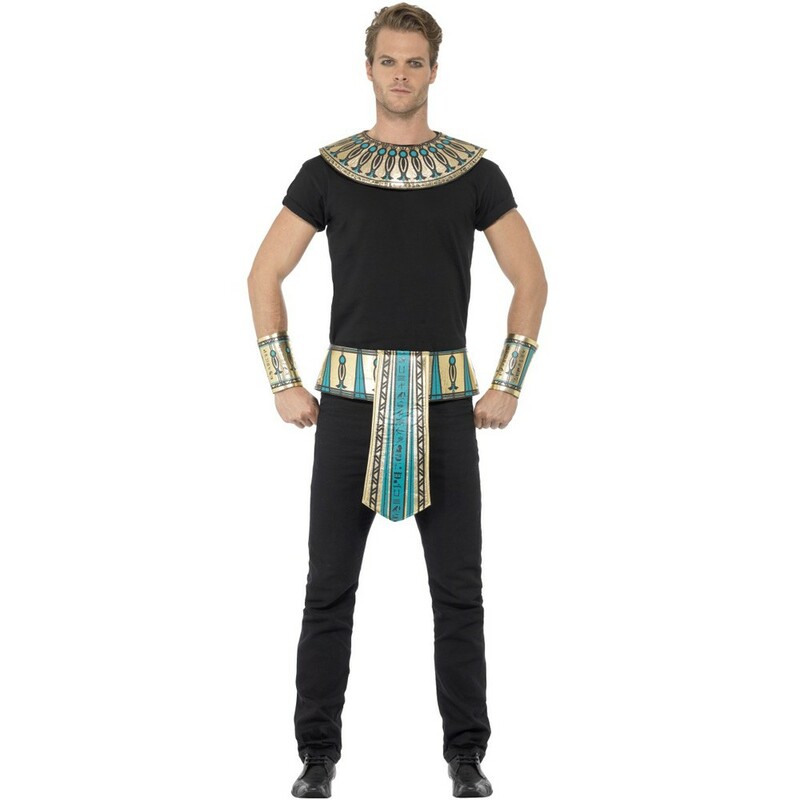 This Egyptian Instant Kit comes complete including a Collar, Cuffs, and a Belt. 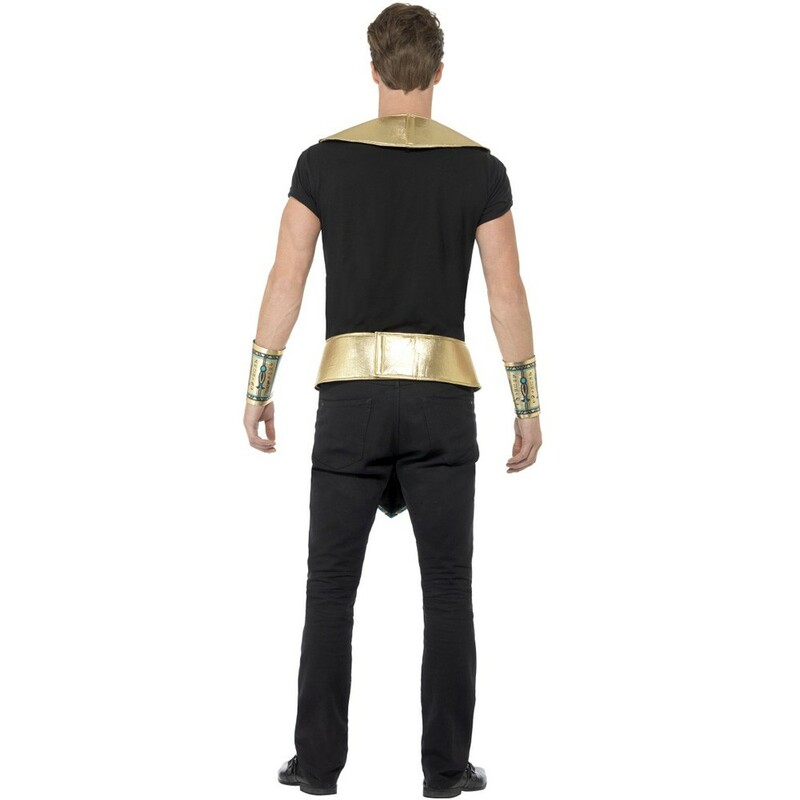 Both the gold Collar and the arm Cuffs feature a matching blue and black intricate ancient Egyptian design that will be sure to make you look the part no matter what the occasion. Combined with the Gold Belt, which features printed Hieroglyphics for an authentic look, this Egyptian Instant Kit is sure to get you noticed. Quick, simple and easy to wear, this Egyptian Instant Kit is perfect for an Ancient World theme, a Historical theme, Halloween, or any fancy dress occasion! So enjoy your Egyptian identity with this fantastic Egyptian Instant Kit.